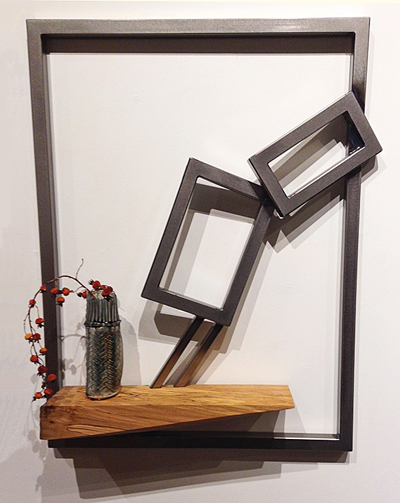 Sean Carleton is a multi-disciplinary artist creating work in Bothell, Washington. 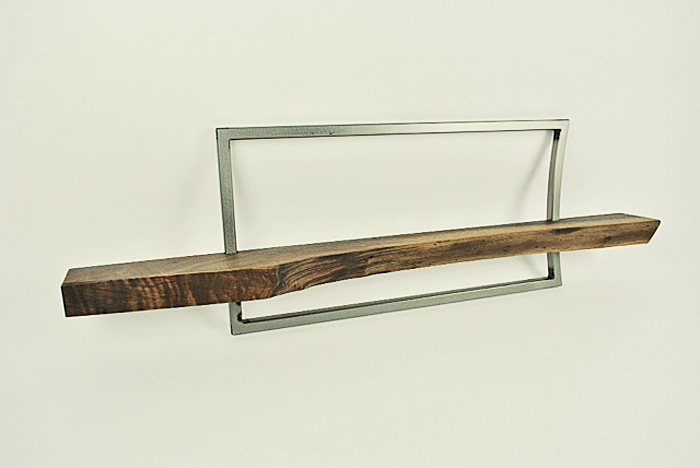 A Washington native who has a lifelong passion for creating with his hands, his work ranges from unobtrusive yet sophisticated metalwork which supports beautiful Northwest hardwoods, to sculpturally artistic, dramatic metalwork as the emphasis of the piece. 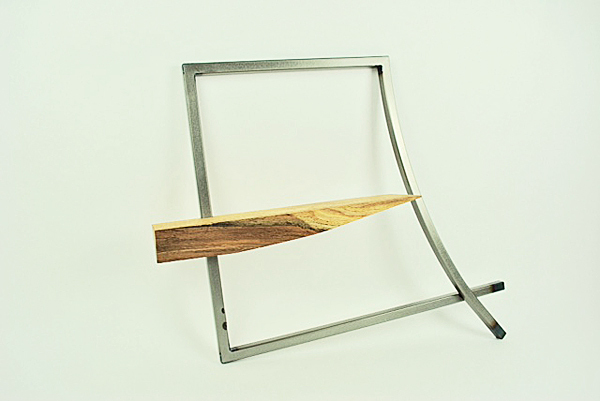 Carleton has been recognized for furniture design and quality by the Bellevue Art Museum and Northwest Woodworkers Gallery. Starting my life as a Craftsman in the Seattle trades was a challenging beginning. A fellow student in one of my metallurgy classes told me to quit now before I wasted my life; it was my first week of school. I quickly developed a strong skill set and made a point to continually change the type of work that I was perfecting to stay engaged. As Seattle began to change and develop a more upwardly mobile class structure the craft work that I had once been able to support myself on was becoming harder to come by. Many of my colleagues pursued other career choices while I delved further into the diverse world of craft and magical realms of industrial Seattle. The results of Sean's commitment to his art can be seen on these pages. 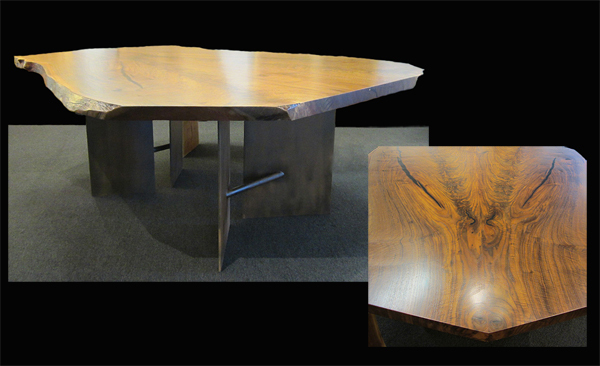 Maple and mild steel. Shown with Sarah Kaye vase; see under separate listings or contact the gallery. Alder and steel. 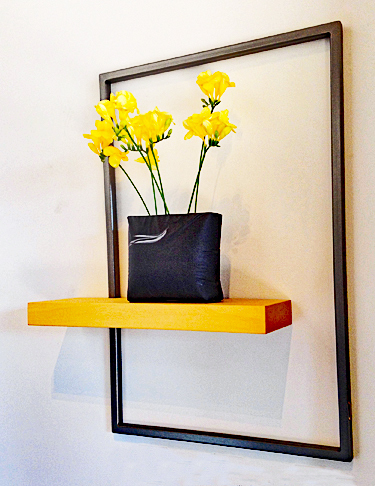 (Shown with Reid Schoonover lidded vessel, under separate listing or contact the Gallery.) For further information, please contact the gallery. 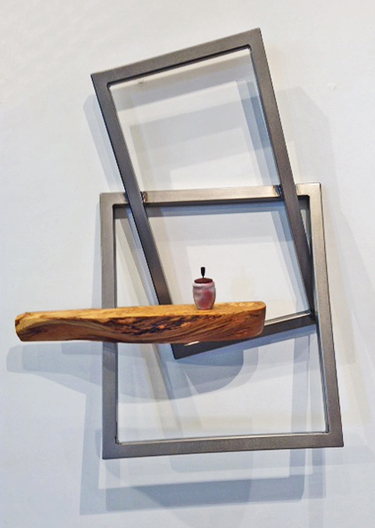 One-of-a-Kind walnut and mild steel sculptural shelf. Dimensions: 40" wide x 5" deep x 13" tall. 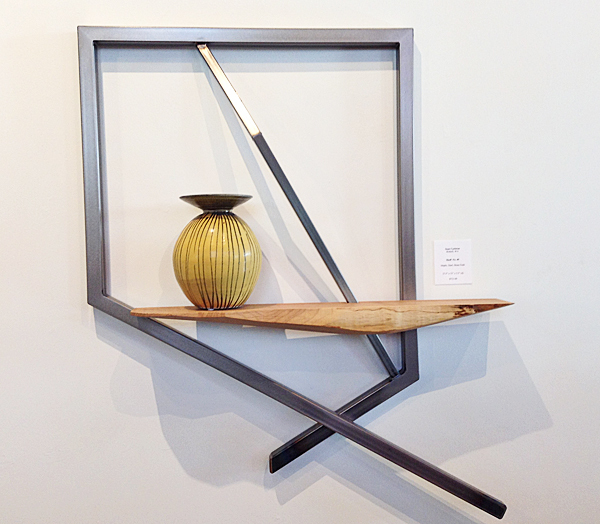 One-of-a-Kind Oak & Steel Sculptural Shelf. 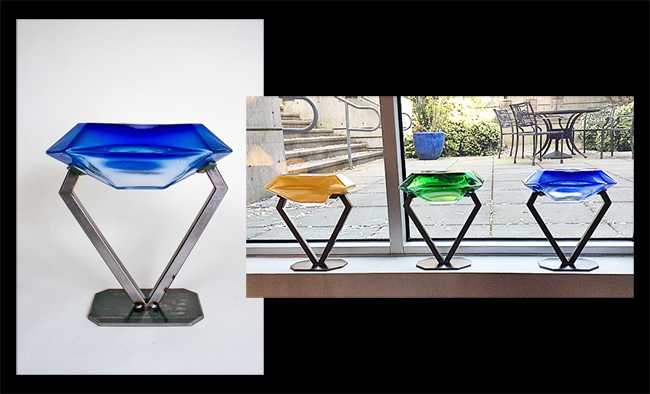 Dimensions: 24" wide x 5" deep x 24" tall. This item has sold, but is available by special order. Please contact the Gallery for assistance. Shelf No. 48. Alder and steel. 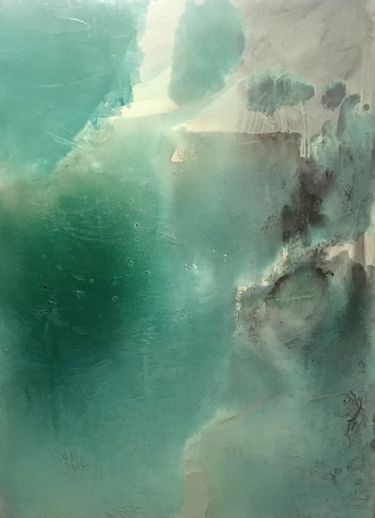 Dimensions: 24" x 31" x 4".